Health is important. As someone who tends not to be so sensitive to air quality, its sometimes hard for me to wrap my mind around how bad air can really make someone suffer, but my husband is one of those. He has really bad seasonal allergies right now as well as being allergic to pet dander. On top of that, mold grows easily in my country during the winter, and despite doing what we could to try to prevent mold growth, it's been a pervasive problem in our home, and just last night Mike dealt with a mold issue in one of the rooms (and painted it with an anti mold paint). So this post from a reader on how to frugally improve air quality in your home is certainly very timely. Many people see the appeal of living a more frugal lifestyle. It allows you to lead a much simpler, uncluttered, pleasant life. However, there are some areas where it doesn't pay to cut costs. No matter where you choose to live or how much money choose to spend, there are two common things you can't escape. They include the air your breath and the temperatures you feel indoors. Both of these things are important to your overall health, and we're going to help you by giving you several easy tips and tricks you can use to improve your indoor air quality, and the temperature. This will allow you to lead a healthier and happier life. Whether you spend a lot of money on your home or a little, one fact rings true time and time again. The air you and your family breathe while indoors is anywhere from two to five times more polluted than the air you breathe while you're outside. This is extremely important to now because it can be a large problem for people with allergies, asthma, or respiratory conditions. Therefore, it's very important that you take steps to clean your indoor air to promote a healthier living environment. There are several easy things you can do to accomplish this, and many of them can fit seamlessly into your frugal lifestyle. To start, you want to check that you are using cleaning products that contain very low amounts or no volatile organic compounds (VOCs). If you have these in your home, you could very easily be breathing in five to ten times the amounts you'd be breathing in if you were outdoors. Look at your cleaning supplies, paint, stains, aerosol sprays, air fresheners, pesticides, or hobby supplies and consider moving them to an outdoor storage space like a shed or a garage. If you or someone in your home smokes, consider making your house a no smoking zone. Smoke lingers and clings to clothing, drapes, carpets, and furniture. Not only does this leave a distinct odor, but it also leaves tobacco toxins that you breathe in. There are no safe levels for tobacco toxin exposure, and it can lead to a myriad of health problems. By banning smoking in your home and doing a thorough cleaning, you can get rid of a lot of the lingering toxins. Keeping your windows open in good weather is another easy way to improve your home's indoor air quality. It'll allow some of the trapped toxins and unhealthy airborne contaminants to get out while allowing fresh, clean air to flow through your home. Dusting on a regular basis and grooming your pets can reduce the amount of pet dander and dust mites in your home. In turn, this can reduce the number of allergens in your home, and it will improve your indoor air quality. Alternatively, you might want to look into an air purifier for pets that can help control the amount of pet hair and dander floating around, also reducing allergens. Finally, it is an excellent idea to consider purchasing and using an air purifier. It is one of the easiest and most cost-effective ways of preventing airborne contaminants from entering your lungs because it constantly cycles your home's indoor air through a series of filters. These filters can trap up to 99.9% of airborne contaminants including things that be making you sick or cause long-term health effects like cancer or respiratory diseases. There are many types of air purifiers on the market you can buy. The most cost-effective option are air purifiers that use permanent or washable filters as opposed to filters that need to be replaced. This may sound obvious, but if you don’t look for this feature when buying an air purifier you will likely get the wrong kind. Some manufacturers sell their air cleaners for cheap as a way to lure in customers and then make up for it by charging high filter replacement costs. Frugal living doesn't mean that you have to endure excessive temperatures during the hot, humid summer months. Downsizing or cutting off your main air conditioning unit is a great way to start, but you do have other options to consider. The last thing you want is to get too hot or humid because this will encourage dust, mold, mildew, and bacteria to grow and spread throughout your home which creates lower indoor air quality. Ideally, you want to keep your humidity levels below 50% to stop these things from thriving and multiplying. If you don't, they can lead to more serious health complications like lung diseases, chronic respiratory issues, and more. One of the best ways to beat the heat this summer on a budget is to use a window air conditioning unit. It cools you down, and it also acts as a dehumidifier at the same time. Although many people think that this type of unit is only good for apartments, it's great for single-family homes as well. You can choose which room you put it in, and it'll cool the adjoining rooms as well. If you have never shopped for this type of product before, you may want to check out the Home Air Quality Guides site as it has recommendations on the top window AC units you can buy and how to choose the right size for your needs. The biggest perk of window air conditioners is that you won't have to pay extra for cooling rooms that you don't use like you would with central air conditioning, so this saves you money as well. You'll save even more money when you don't run it all day. Simply turn it on and cool your rooms and then shut it off again. Combine this with closed blinds, and your home should stay cooler. 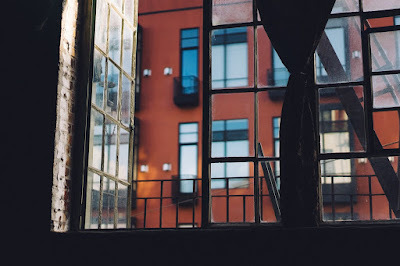 All in all, it should cost you around $15 to $20 per month to run your window air conditioning unit six to eight hours a day, which fits perfectly with your frugal lifestyle. Frugal living is a great way to minimize your clutter, streamline your home, and reduce your daily stress. When you combine it with these inexpensive options to stay cool and healthy year-round, you have a recipe for a healthy and happy life.